In the landmark book The Progress Principle by Teresa Amabile and Steven Kramer, they share a vivid discovery that should impact every development professional’s approach to their craft. Their research, led through the Harvard Business School, is considered the most in depth study ever conducted on the actual events that take place in a person’s work life that engage or disengage them from performing at a high level. They discovered that making progress in meaningful work was the number one driver of positive perceptions, emotions, and motivation at work. When then these aspects were elevated by events at work, a person’s performance had higher output in creativity, productivity, commitment, and collegiality. All four of these highly coveted performance dimensions serve as a strategic competitive advantage. Create development experience that specifically boost the meaning of work by galvanizing teams, building relationships among peers, and by allowing leaders to have a platform to align and clarify the purpose and vision of their collective effort. Create development experiences that acknowledge and highlight the factors within the business that connect people to a higher sense of meaning. These are unique to each organization and highly leverage able for savvy TD professionals. 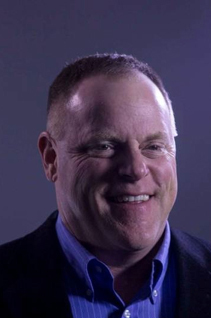 Steve Van Valin is the CEO of Culturology and has enjoyed a 25-year career developing winning culture and brand strategies for such companies as QVC, Lincoln Financial Group, Shire Pharmaceuticals, The Philadelphia Phillies, Goodwill Industries, and the U.S. Department of Justice. As the leader of QVC’s culture and brand development strategy for over 14 years, Steve specialized in shaping a highly engaged workforce and innovation processes that helped propel the company’s double-digit growth (now exceeding $9 billion in annual sales). Stephen is currently completing a book on the subject of meaning at work. It is intended to be a definitive guide for leaders in their quest to elevate meaning and engagement. Stephen is passionate for teaching the discoveries to others with the greater goal of elevating the value of meaning at work.